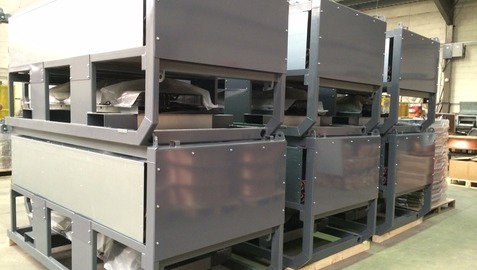 We have started manufacturing on well over 200 of these specialist stackable, heavy duty units for use all over the world and we have set up a new production line to enable us to manufacture over 20 of these units every week to finish the project in a couple of months. 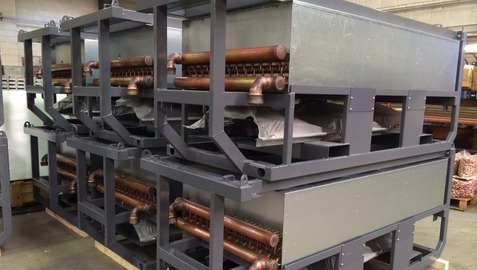 You have to have a lot of faith in a product before sending it to the other side of the world with your name on the front, which is why our customers confidently choose to have Beehive Coils fitted in their units for peace of mind thanks to the high quality construction methods and materials we use - which result in a superior and reliable product. 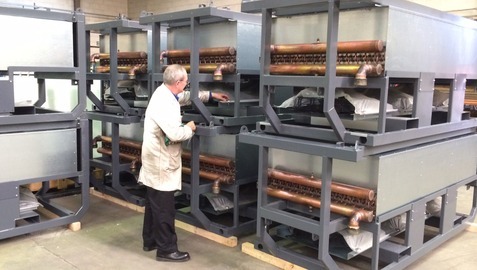 We have been manufacturing all types of heat transfer coils/units since we were established back in the 60's and as our capabilities grow year on year, we look to take on ever challenging projects to meet and indeed exceed our customers’ demands. We can handle any job, big or small - just give us a call on 01638 664134 to find out more.